Mexico has long fascinated us gringos, I think as a place of the imagination as much as a physical destination. The idea of Mexico is at least as strong with the Mexicans themselves, but more as a promise never kept. These days, Mexico in the grip of the narcotraficantes is far darker. "So far from God, so close to the United States," Porfirio Diaz once said. Easy to forget that it's a mirror image. The simplest and most troubling schematic is the pipeline, The Iron River, drugs and human traffic moving north, money and guns moving south. What we're talking about is market share, access, gangster capitalism. Mexico has all the characteristics of a failed state. No rescue, no refuge. A phenomenon like the Juarez feminicidio, the unsolved murders of hundreds of women (a low estimate), doesn't take place in a vacuum. It has a context. I don't pretend to know all the reasons for it, but the drug traffic, and gang terrorism, is a fair guess as a contributor. But for all its reptilian chill, we have to admit it makes marvelous theater. That's the contradiction. I look at the narcos, and I see predators, carrion-eaters, and maggots, the food chain as career path. Mara Salvatrucha? Looney Tunes. And the Zetas? Let's not even. On the other hand, you can't make these guys up. They're gonna crowd your peripheral. You want to take on the drug wars? This is the furniture. It's the threat environment. The picture's already been cast. You set out to tell a cautionary tale, probably. Or almost certainly. It's the nature of things. T. Jefferson Parker, in the Charlie Hood novels. 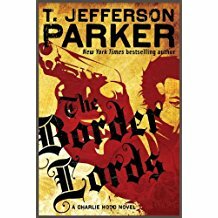 Iron River, The Border Lords, The Famous and the Dead, to name his most recent three. Two by Don Winslow. 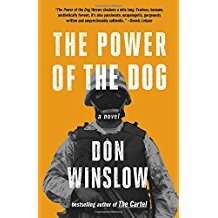 The Power of the Dog and The Cartel. 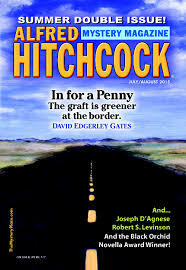 And the stories I've written myself about the border war. Doc Hundsacker, the Texas Ranger working out of El Paso, and Doc's pal Fidelio Arenal, the Federale major across the river in Juarez. Pete Montoya, the state cop based in Santa Fe, and Albuquerque FBI agent Sandy Bevilacquia. They're real to me, their strengths and weaknesses, and the consequences of what they choose to do. Not my sense of duty, or my moral choices, but theirs. I'm not beating a drum, or selling a cure for cancer, or telling you how to vote. I'm saying that if you decide you're telling a certain kind of story, you may very well have to choose up sides. In fact, the story will probably pick a side for you. They do that, damn it. You wind up on the side of the angels, when you were ready to sell your soul to the Devil. Cheap at twice the price.